This lecture was held in Dublin but this researcher has become more and more famous in the world. He shows that even if you do not let the animals graze in areas that have been overgrazed there will be more grass in the beginning but after a while it becomes as bad as before. What is missing are that many animals that are ruminants as well as our cattle graze intensively in an area for a short time, leaving behind much feces besides they tramled the soil. With much feces there will be a lot to do for all decomposers and the result are that both minerals and carbon compounds in the soil will increase, which means that it grows better afterwards. This benefits in particular grasses. Here you have him at full speed during his lecture. He shows us that it is not overpopulation or overgrazing which is the biggest problem, but our ignorance. The same development of the land, we have had in Texas even though the land is not overgrazed and overpopulated in these areas. 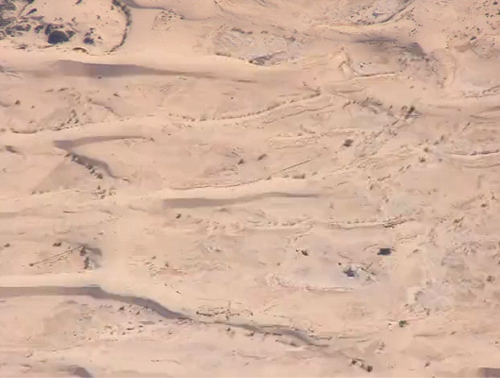 A degraded land in Africa. 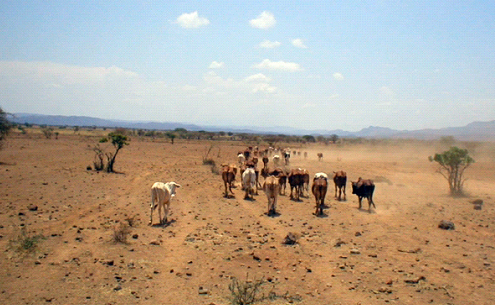 Overgrazing and overpopulation. 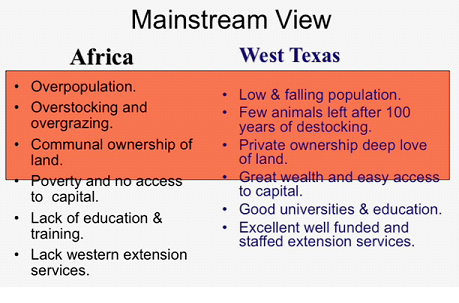 Then he compares with western Texas. How does it look in western Texas? 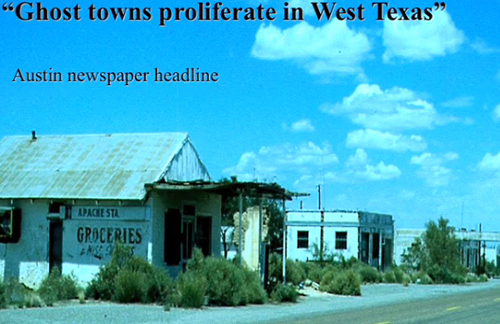 A lot of ghost towns! Desertification. In the past there were livestock here but now the cattle are gone and it looks worse than before. 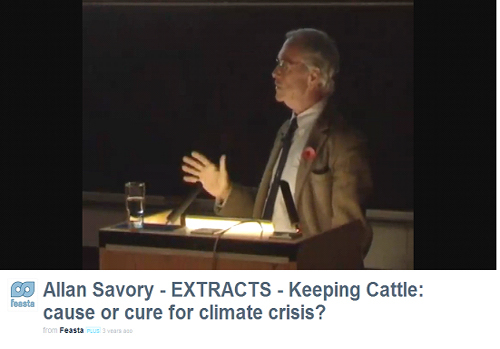 According to Allan Savory's livestock is an important part of the solution not the problem. His lectures are available online. He speaks calmly and clearly so it's easy to follow him. Please listen.